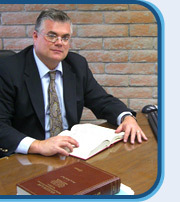 I have been involved in Social Security Disability matters for over 20 years. I worked initially for the Social Security Administration from 1988 to 1992. After that I worked as a legal assistant while continuing my education. After graduating from Brooklyn Law School in 1999, I founded the Law Offices of Andrew J Muirhead in October 1999, dedicated solely to assisting clients in Social Security Disability and Supplemental Security Income Claims. Since 1999, I have successfully helped over 2000 clients in obtaining the benefits they deserve. My philosophy is simple: To provide the best representation YOU deserve. I will personally handle your case from initial applications through the Appeals Council review. I will review any forms, medical evidence or correspondence. Unlike other firms, you will not be passed from one legal assistant to another, from on attorney to another. Although no one can guarantee that your case will be approved, I will personally ensure that on equitable decision is reached in your case. My dedication, compassion, experience, and commitment is why I receive referrals from many workers’ compensation and personal injury attorneys as well as many mental health providers, health care providers, and social and church groups. If you have any questions or are interested in speaking with me, please call 602.952.8931 or email us today.